Spring Festival is nearly here and already there are the usual "China travel chaos" stories hitting the headlines. We thought we'd give you something something positive about the New Year and tell you why we love it. Have a great Year of the Horse! Number one on our list - the few precious days off you get. Of course, it wouldn't be China without a catch or two. The fact that you have to work "make up" days before and after the holiday slightly dampens the "holiday spirit" (especially when you're sat at your office desk on a Sunday morning). Tied to the lunar calender, the holiday changes each year and a special committee has to decide when we're lucky enough to get time off. However, spending those days resting at home or taking your chances and travelling across China are definitely worth it. We hope you've got, or are in the process of getting, gym membership as over the holiday you'll be invited to and eat at dinner after dinner after dinner. As with Christmas and Thanksgiving, Chinese New Year is a time when family gets together and eats their combined weight in food. Not only that, but it's a Spring Festival tradition to eat copious amounts of dumplings too. Think of it as being more like a 2013 after party; you ate your way through Xmas, you drank your way through December 31/January the 1, now that everybody is back to work at home (UK, USA etc) you get to do it all over again! 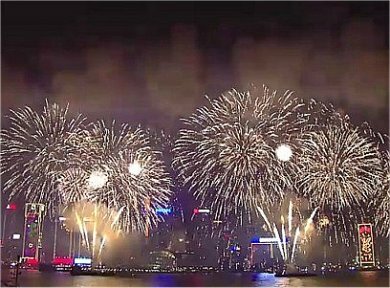 With levels of surrealism that only highly nationalistic state broadcasters can achieve, the CCTV New Year Gala is traditional viewing for families across the country (even if the TV is probably left on in the background as the family eats and drinks). Billed as a huge spectacular, the event itself is filmed in front of an audience in a small studio, making it seem at times like an endearing amateur dramatics company putting on a variety show. That being said, recent years has seen a few international names make appearances, including Celine Dion who sang in Chinese. Prepare for patriotic anthems, minority dancers, some token foreigners and lots of mentions of the "Chinese Dream". Who doesn't like free money? Over the holiday there's a good chance your you'll receive a handful of hongbao, money given as a gift in a red envelope. Singletons will be happy to know that it's traditionally only married couples who give away hongbao. Receivinghongbao is just one reason why CNY is way better than Xmas - you don't get any unwanted gifts and you can spend the money you get anyway you see fit! Be careful though, wise relatives give generously and then win it all back with a few games of mahjong! So brush up on your mahjong skills now. 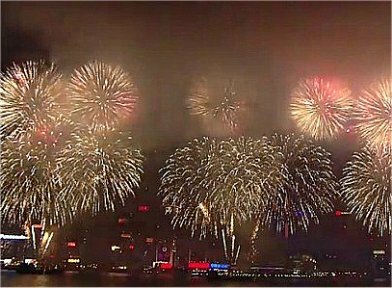 One final reason we love the Spring Festival holiday is that Beijing pipes down for a week or two (albeit for the fireworks). As people leave Beijing to go home to join their families for the festivities, the city becomes quiet. The tourist traps are as busy as ever but everywhere else slows down. You can even get a taxi when you need one! Construction halts and air quality improves slightly as factories shut down for the holiday. 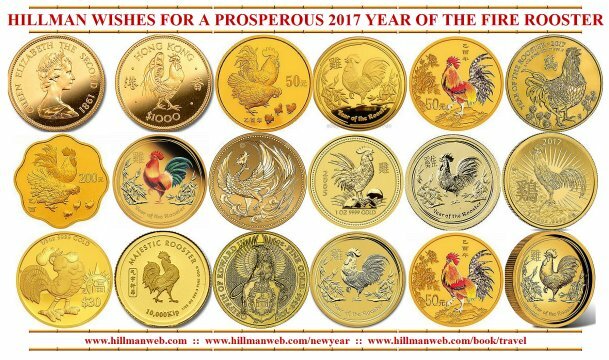 According to the Chinese zodiac, 2017 is the year of Rooster (Fire Rooster) starting from January 28, 2017 (called the Lunar Chinese New Year or Chinese Spring Festival) and lasting to February 15, 2018. Personality of the Rooster The rooster is the dawn announcer waking people up on time in the morning. Since the ancient times, it has been thought to have the ability of divining the future. Also in Greek mythology, it is said that the rooster can feel what will happen in the future. So, it is regarded as the god's ambassador. 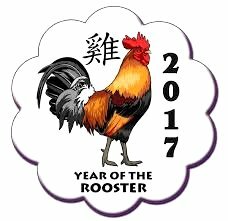 The people born in the year of the rooster also have the ability to discern what is coming. They like to think more and have a good plan when dealing with things. Also, they usually use in ways others could never have imagined to solve problems which making others surprise. The rooster people born in the morning are highly-motivated and conscientious in the performance of their duties. However, when dealing with things, they show out to be overhasty. When others are slow, they will press and blame them all the time. Although they intend no harm, this gives a terrible impression to others. The Rooster women born in the morning like to chatter ceaselessly that usually annoy others terribly. The rooster people born at noon are ardent and conscientious in doing their work. They are capable workers thought highly by their superiors. When dealing with people and handling affairs, they also do well. Therefore, they usually advance quickly. What’s more, they have a large circle of friends and are very popular at parties. So, they usually have more chances to drink. But they are abstemious in drinking. The rooster people born during the evening are always looks sleepy and lack of initiative, competitive power and method when doing things. They can live smoothly all their lives and enjoy a good level of material life. In work, if they could try hard, they may get steady jobs such as civil servants. The women mostly have no will of their own and can’t make decisions on their own. Therefore, they had better to marry the men who have good financial ability and can protect them well. If so, they can live happily and leisurely. Celebrities with Chinese Zodiac Rooster Britney Spears, Justin Timberlake, Elton John, Jennifer Aniston, Anna Kournikova, Anne Heche, Bette Midler, Bob Marley, Cate Blanchett, Diane Sawyer, Elijah Wood, Jessica Alba, Matthew McConaughey, Matt Damon, Natalie Portman, Catherine the Great, Amelia Earhart, Rudyard Kipling, Groucho Marx, Peter Ustinov, Serena Williams, Mencius, Mo-tse, Liu Che (Emperor Wu of China’s Western Han Dynasty 202 BC - 9 AD), Li Longji (Emperor Xuanzong of China’s Tang Dynasty 618 - 907), Zhuge Liang (Premier of Shu in China’s Three Kingdoms Period 220 - 280. The ROOSTERS people are industrious, diligent, and devoted to work. They love to travel because of their courageous and adventurous spirit. They are deep thinkers, but can often be eccentric. They are not at all shy and prone to exaggerate and boast on all matters. Rooster people make good travel and public relation agents, dentists surgeons, cooks, or beauticians. The MONKEYS are mischievous, vain, and clever. Their most prized traits are originality, creativity, and education. People adore Monkeys for their wit, high intelligence, and interest in world affairs. Older and wiser Monkeys are able to channel their energetic and rich imaginations into the solving of complex problems. Monkeys people can succeed in professions such as business, trade, law, stocks, industry and politics. RAM people are elegant, charming, generous, wise and gentle. They are also pessimists, hesitant, and over-anxious worriers. Uncertainty causes the Ram people to seek guidance from others while their timidity prevents them from becoming great leaders. They are deeply religious and highly talented in the fields of art and music. Ram people should be good in the professions of gardening, actor, artist, entertainer, musician, or photography. HORSE year people are popular and hard workers. They have financially sound minds and are adept at handling money matters. Whether male or female, Horse personalities feel more comfortable in the company of their own kind. They are independent and self-willed individuals who never take advice. Horse people should choose a field as a dentist, financier, banker, or politician. Those born under the sign of the SNAKE are romantic, passionate, charming and well informed. Snakes are intellectuals, philosophers, and deep thinkers. They strive to succeed in all that they do. The are extremely self-critical. Snake personalities often make their way to the top. They ensure that they are in the right place at the right time, which means when the right people are there as well. Snake people should seek their fortunes as professors, writers, philosophers, or psychiatrists. The DRAGON symbolizes life, growth, and brings blessings of longevity, virtue and harmony. Dragon people are born extroverts, their opinions and ideas are worth listening to since their advice is usually the best. Elegant and with a good eye for spotting the latest trends, Dragon people are always to the forefront of the fashion scene. Blessed with rich imagination, the Dragon always comes up with exotic ideas for new ventures. a Dragon should choose a career as artist, doctor, or architect. RABBIT people are happy, gifted, refined and ambitious. They also know how to draw others' attention and are great mixers in any social gatherings. The typical Rabbit will be submissive, even humble, in a constant effort to avoid confrontations. Rabbit is an excellent judge of character, with an instinct for recognizing sincerity in others and an almost uncanny ability for sensing falsehood. Hare people make wonderful receptionists, publicists, stockbrokers, and pharmacists. The TIGER is a born leader, fiercely competitive, and never afraid to fight. Tigers often get into difficult and hazardous situations because they live dangerously. Narrow-mindedness and suspiciousness are their greatest faults. Their careers exemplifies them as deep thinkers and careful planners. Tigers are likely to succeed in sales, personnel management. They can be a good military leader, supervisors, teachers, firemen, or police officers. People born in the year of the DOG are honest, loyal, and have a deep sense of duty. Their intelligence and industrious nature make them good leaders in the business world. The Dog people are usually steady workers, they can easily become both trusted and valued members of any community. Those people born in Dog years would make a superior industry leader, priest, educator, doctor, writer, or scientist. By nature, BOARS are peace-loving, trustful, honest, and sincers. 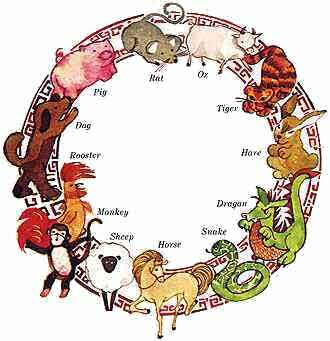 People born in the year of the Boar will be lucky and successful in handling money, business and academic matters. They have a deep desire for knowledge and are generally well informed. Boars are the finishers, they are the ones who put the last necessary touches to a project. Boars are suited to be doctors, bankers, businessmen, scientists and entertainers. People born in the year of the RAT are blessed with great personal charm. The Rat is adaptable, aggressive, and creative. Rat people are hard working, thrifty, and can save a lot of money. They are elegant by nature and strive for the better things in life. Bright and gregarious, rat's intellectual versatility is not always immediately recognized. Rat people make good business people, accountants, and bankers. The OX is quiet, steadfast, methodical and can tolerate difficulties. Ox people are hard working and down to earth. They are exceptionally clever and creative with their hands. In business, the ox often brings prosperity, not through entrepreneurial imagination and risk, but as a result of logical thought, resolute practicality, and honest endurance. Ox people should seek their fortune as a surgeon, dentist, architect, tailor, or technician. 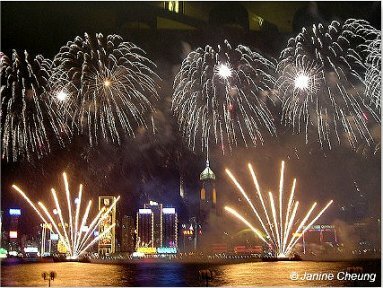 Chinese New Year (Nian) lasts two or three days, but the New Year season extends from the middle of the previous year's 12th month to the middle of the 1st month of the new year. 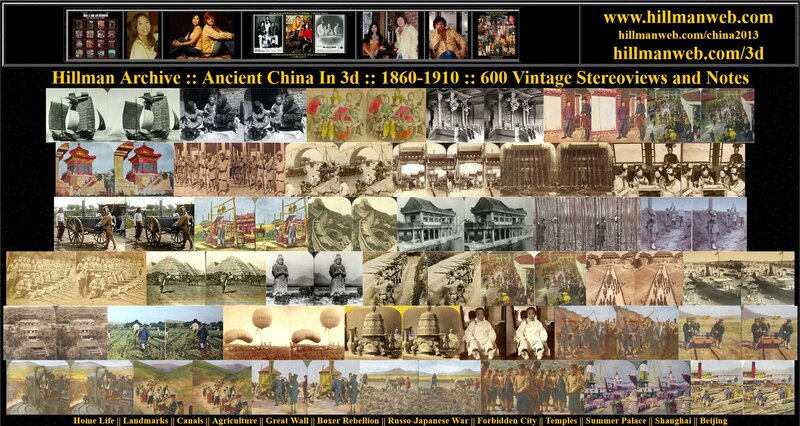 It is a holiday celebrated by Chinese the world over. In preparation, the house is given a thorough cleaning-- a sweeping away of any misfortune or bad luck during the year departing to make way for the incoming good luck and good fortune that will surely arrive during the new year. Doors and windows are given new coats of paint, and paper cutouts with the themes of 'happiness,' 'wealth' and 'longevity' are used as decoration around the home. Special flowers and fruits are also often used as symbolic decorations for prosperity and good fortune. Peach blossoms are said to bring long life; good fortune is represented by the kumquat's golden fruits. Offerings of food may also be left at the altar of ancestors. New Years' Eve is carefully observed, with all members of a family dining together. Supper is a joyous feast, with jiaozi served-- dumplings boiled in water. (The word literally means 'sleep together and have sons,' a traditional good wish greeting for a family.) Fish is also traditionally served (the Chinese character for fish sounds the same as that for 'abundance'.) There is also served a vegetarian dish with a special seaweed called fat choi, a word similar in sound to that for prosperity. Noodles accent the wish for long life. Every light in the house is supposed to stay lit for the whole night. 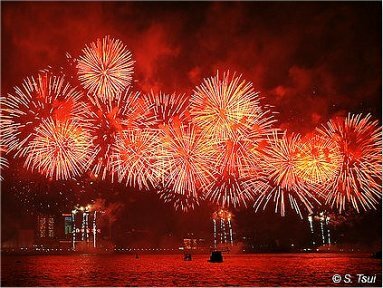 At midnight, the sky erupts in a colorful display of fireworks and firecrackers. The New Year has arrived! Early in the morning, after sunrise, the children receive their hong bao (red packets, often containing money) from their parents. Then the family visits door-to-door to exchange New Years greetings-- first to relatives, then to neighbors. In some Chinese neighborhoods, mandarin oranges are also exchanged as offerings of good will and good fortune. The New Year is a time of reconciliation. 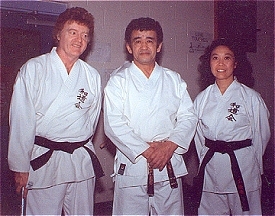 Old grudges are set aside, and the atmosphere is marked by warmth and friendliness. The visits continue for several days, marked by a great deal of gift giving. 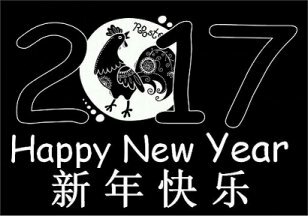 Passersby greet one another in various dialects: Sun Nean Fai Lok and Xin Nain Kuai Le (Happy New Year) or Kung Hey Fat Choi and Gong Xi Fa Cai (May Prosperity Be With You). Fifteen days after New Years' Day, the celebration's end is marked by the Festival of Lanterns. It is a time for lantern shows and folk dances ... and another reason to feast. Another kind of dumpling is traditionally served-- tang yuan-- sweet rice balls that are stuffed with sweet or spicy fillings. Chinese New Year is like a combination of Thanksgiving and Easter that celebrates the sacredness of the family and presents a time of renewal. Food, naturally, is central to the New Year. But unlike the reminiscent Thanksgiving turkey, everything eaten during the two-week Chinese tradition — which begins in 2000 on February 5 — holds auspicious meaning and is believed to directly affect one's fortune for the coming year. One tasty ritual during the New Year period is eating cake, both sweet and savory. After steaming, they are cooled, cut into bite-size pieces, pan-fried, and served with oyster sauce. Cake is eaten for breakfast and whenever visitors stop by. What's the fortuitous significance? Rice flour, which symbolizes cohesiveness; the round shape, which represents unity of family; and the slight rising of the cakes, which indicates rising fortune. Called Neen Gow in Chinese, this chewy cake contains glutinous rice flour to symbolize cohesiveness and peen tong brown candy to represent the sweetness of life. It is the most important cake of the holiday and is served only during the New Year celebration. 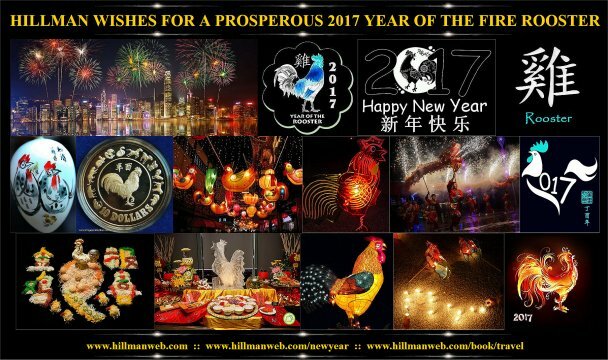 Law Bock Gow is served on New Year's Day as a symbol of prosperity and rising fortune. You can also find this savory cake on the menu throughout the year in dim sum houses. The texture of savory cakes such as this and Taro Root Cake is similar to polenta. The savory Woo Tul Gow is often served in dim sum houses, but is unsurpassed when made at home using generous amounts of what Young calls "the good stuff": Chinese dried scallops, bacon, and mushrooms. 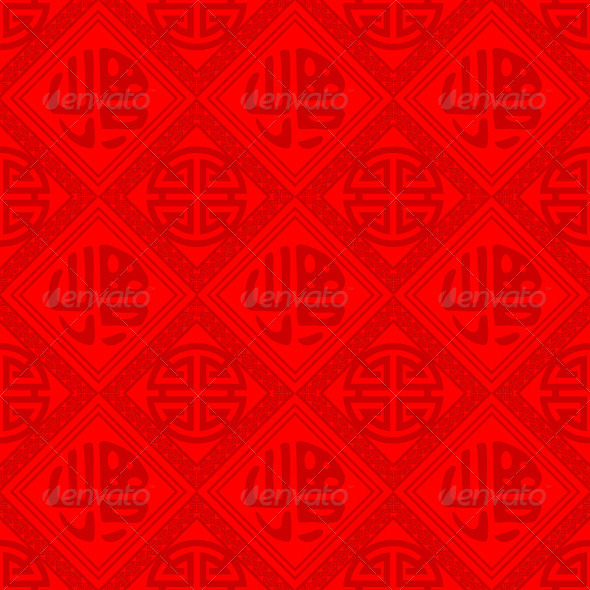 It is Chinese tradition to wish family and friends "Gung Hay Fat Choy" with red envelopes containing gifts of money. 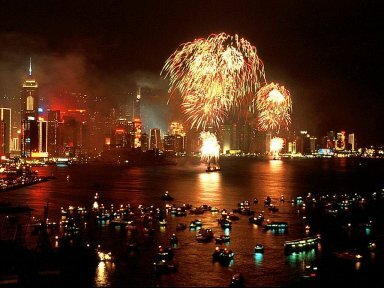 In China, the New Year is a time of family reunion. Family members gather at each other's homes for visits and shared meals, most significantly a feast on New Year's Eve. 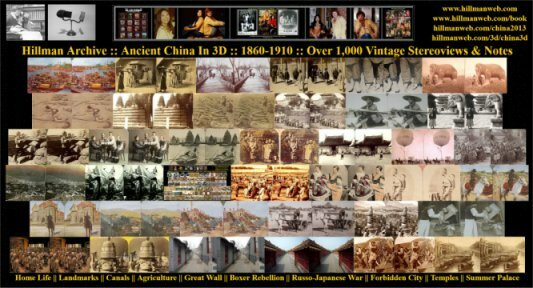 In the United States, however, many early Chinese immigrants arrived without their families, and found a sense of community through neighborhood associations instead. Today, many Chinese-American neighborhood associations host banquets and other New Year event. Cantonese for "heart's delight," dim sum includes a variety of small, mouth-watering dishes such as steamed or fried dumplings, shrimp balls, steamed buns and Chinese pastries. Dim sum — standard fare in tea houses — can be enjoyed any time of the day. Unlike most dining establishments, servers in a dim sum eatery do not take orders, per se. Instead, they walk among the tables with carts or trays of kitchen-fresh food. Diners simply point to the item they want, which is served on small plates or in baskets. Each item usually has a set price. At the end of the meal, the check is tallied by counting the dishes on the table. Some dim sum restaurants add the price of each dish to a check that remains on the table, clearing dishes as they are emptied. Ten recommended delicacies to add to your New Year's menu.